New Unicorn Klook raises $200M in funding, eyes expansion in Europe and the U.S.
Klook Travel Technology Ltd., has raised $200 million from investors including Sequoia Capital China and Goldman Sachs, boosting the company’s expansion in the U.S. and Europe and its ability to compete with Airbnb Inc. The new financing brings Klook’s total funding raised to about $300 million. Other investors in the round include TCV, Matrix Partners and Boyu Capital. Founded in 2014, Klook is now valued at more than $1 billion. The startup allows travelers to discover and book tours, local transportation and food in more than 200 locations. It’s estimating close to $1 billion in bookings this year. 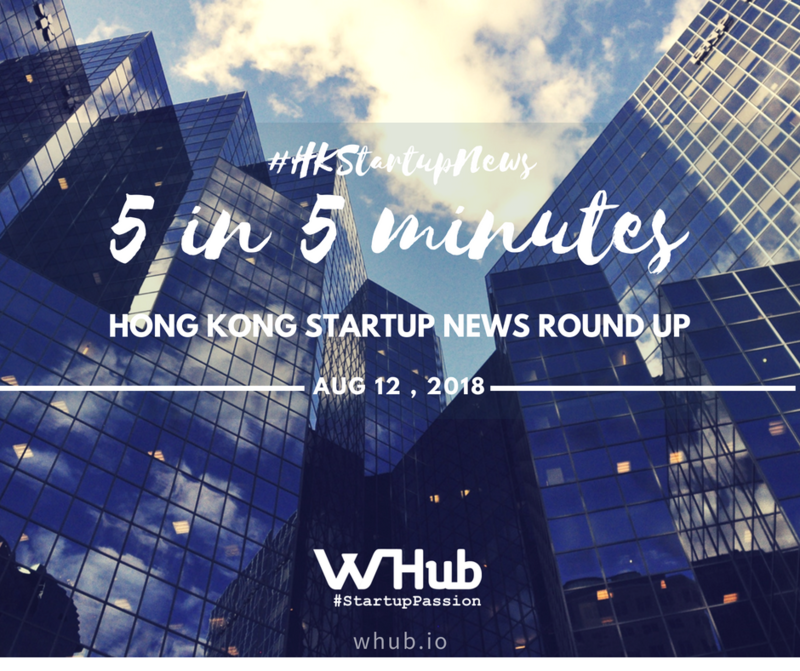 This week, Karen Contet Farzam, co-founder and Chief Hustler of WHub, founder of Women Who Code Hong Kong, and founding board member of FinTech Association of Hong Kong is listed in the 30 Most Inspirational Business Leaders to Watch 2018 by Insightssuccess as “A leader Crafting Leaders”. See her LinkedIn post about the achievement. Read on to find out about how Karen took charge of her own career, and turned adversity into opportunity, her ethics and attitude towards startups, entrepreneurship and business as well as the factors that has led her to the success she’s seen today. WeWork’s third location in Hong Kong taps into themes of community and social interaction through unique design features at a massive 54,000 square foot location in Taikoo Shing, providing work space that can help foster creativity and networking opportunities, according to a company spokesman. The new centre occupies four floors in Cityplaza Three, an upscale retail and commercial complex owned by Swire Properties. The New York-headquartered workspace provider currently has 40 locations in Beijing, Shanghai and Hong Kong, providing office space for 20,000 members. Aside from the innovative communal areas, the co-working space offers a range of amenities such as enclosed phone stations, printers, functional private offices and conference rooms in different sizes. Money transfer player CurrencyFair has revealed a major expansion into the Asian market as part of a €20m investment drive. The plan includes the acquisition of Hong Kong’s Convoy Payments, which will pave CurrencyFair’s entry into the Chinese market. This will also open up access to the US market through Convoy Payments’ existing business. The acquisition is part of a €20m investment plan to drive rapid global growth which will also see the creation of 90 new jobs over the next 18 months. The new jobs will be created globally with particular emphasis on product development, customer service, compliance, marketing and global partnership development. The FSH operates across the entire global supply chain for consumer goods including sourcing, logistics, distribution and retail.